Love that expression! 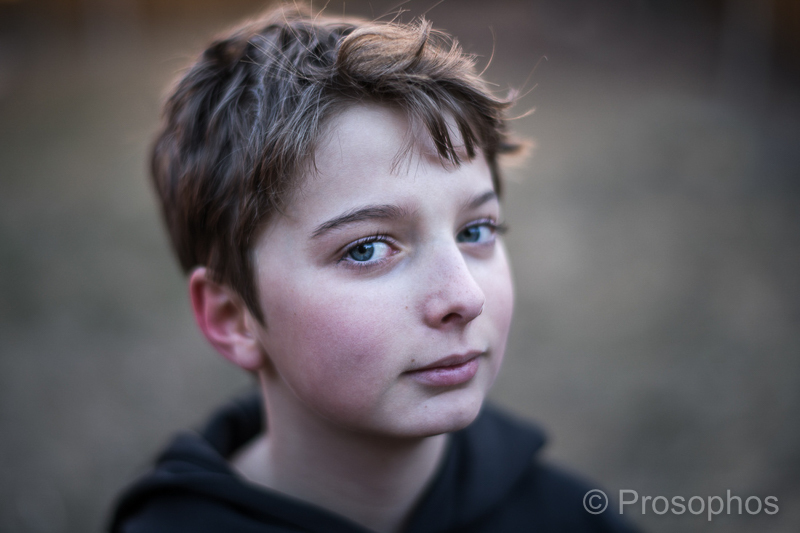 This is a good lesson in portraiture: some backlight, a neutral (but not stark) background, and a focus on the subject. Very natural. Great! Reminds me again to the unique look of the Noctilux!